Rich Doty is the GIS Coordinator and a Research Demographer with the Bureau of Economic and Business Research at the University of Florida. He has a Bachelor of Science degree in Food and Resource Economics and a Master of Arts degree in Urban and Regional Planning with a GIS specialization, both from the University of Florida. His primary research focus is in developing GIS-based models and analytical tools for estimating and forecasting population, water use and environmental impacts. Mr. Doty has 27 years of professional experience with GIS and population estimation and forecasting. While attending graduate school, he was employed at the University of Florida’s GeoPlan Center where he developed geospatial population forecasting models and road network models to define service areas for utilities. After leaving UF, he spent 6 years as a GIS Analyst and GIS Business Unit Manager for GeoFocus, Inc., and 15 years as the Vice-President of GIS Associates, Inc. During his 21 years in consulting, he developed and refined numerous population estimation and forecasting models, environmental impact models, and water demand and conservation estimation and forecasting models. He serves as an expert witness in the fields of population and water demand forecasting and GIS. 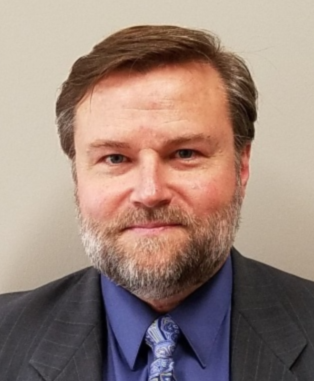 Mr. Doty is responsible for developing estimates of population for all cities and counties in Florida, small area population estimates and projections, geospatial database development and modeling, and expanding BEBR’s product and service offerings. He has authored technical reports on small-area population estimates and projections, published articles in technical journals, and given numerous presentations at conferences and professional meetings.